Linda's Reasonably Chic will be open Sunday from 12-4 as tax free weekend continues. 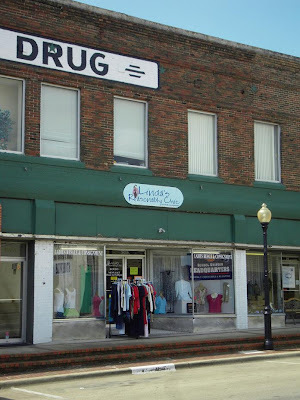 Linda's is located on Moore Ave. and is a Ladies resale and consignment shop. Linda's also carries the school uniforms required by all Terrell ISD students......TAX FREE. Normal business hours are 10AM-5:30PM Monday-Saturday. Stop by and tell them you saw them on Terrell Daily Photo.